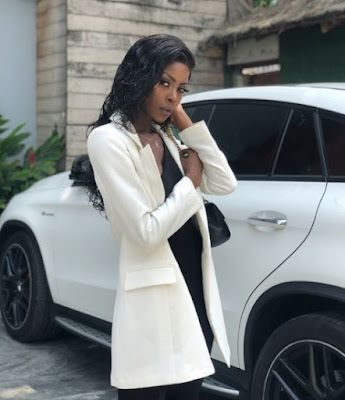 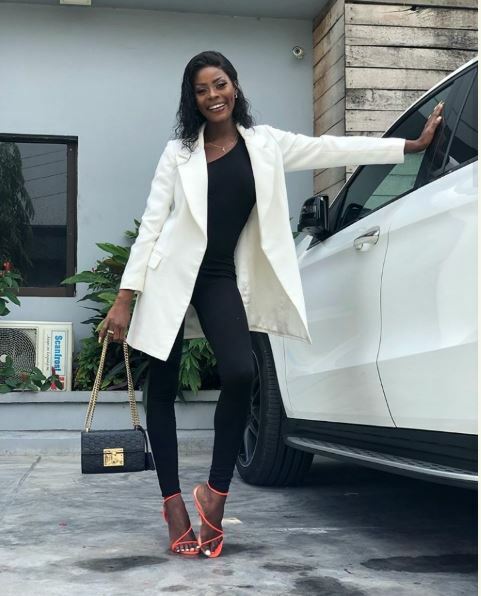 The Big Brother Naija star, Khloe popularly known as Koko gives out wonderful inspiration on corporate outfit. 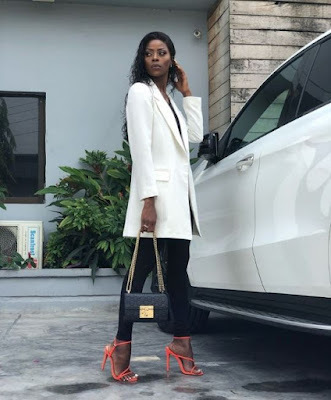 She rocks all black in trouser and camisole coupled with a beautiful white blazer. She paired her look with a black designer bag and a pair of orange stilletos. Khloe has been rumoured to be dating several public figures in recent times.